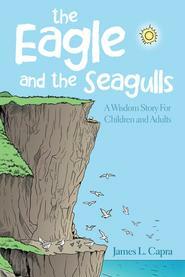 “This book is a great read and it crosses over cultural lines. We had twenty senior leaders from two car dealerships meet once a week for eleven weeks to discuss each chapter of this book. Over the eleven weeks not only did our team learn how to love the people we have been entrusted to serve, but we also grew to love each other better. James has inspired this team to pursue excellence every day that we show up to work.” – Mike Biggers, Huffines Auto Dealerships. 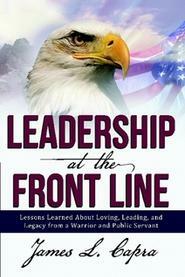 “Leadership at the Front Line belongs in the hands of every one on your leadership team. I strongly believe this philosophy could transform the way the world does business. Jimmy’s no holds barred talk on leadership is a must for all leadership teams desiring to break through the academic speak and hear from someone who actually lived a life as a leader.” – Steve Childress Think Leveraged Services, LLC President/COO. “Jimmy – great job speaking at our annual Heroes of Denton County awards banquet. Your down-to-earth message to the young fire fighters and law enforcement officers in our crowd resonated with every one. I even heard Senator Nelson remark that you gave her “goose bumps” when talking about your experience on 9/11. Thanks for your inspiration that night and your continued friendship to the Heroes. Also, good luck on your new book, it’s fascinating!” – Russ Kerbow- Chief of Police, Lewisville Police Department.